After finishing up the Judy's Angel cross stitch panel this past weekend I spent the rest of the weekend stitching up the cutest little Tatty Teddy panel. 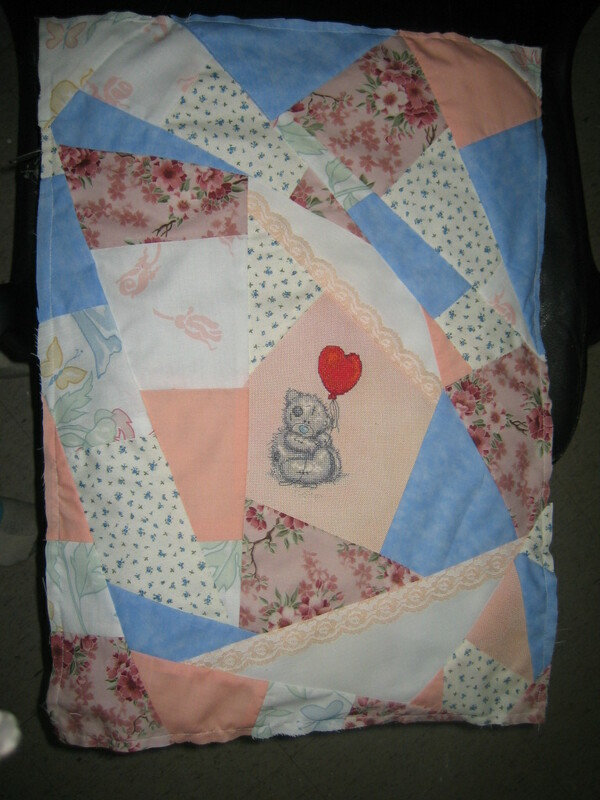 This one I used within a crazy quilt block which will be finished as a wallhanging.... SHHH it's for my Secret Sister. I had to go get the fabrics this afternoon but just this evening I whipped up the crazy patching. Here is the naked panel before I get on with the embroidery. Very pretty block! Can't wait to see how you embellish it.